William LaJeunesse of FoxNews reports today on the lives of those brave ATF agents who stood up and told the truth. He compares it with what happened to managers like Newell, Voth, McMahon, and Melson. It isn't pretty. The managers either got promotions or supposedly lateral transfers with paid moving expenses plus the cost of living bonus that comes with being assigned to Washington, DC and headquarters. The agents? Agent Larry Alt took a transfer to Florida and has unresolved retaliation claims against the ATF. Agent Pete Forcelli was demoted to a desk job. Forcelli is a respected investigator, with years as a detective with the New York City Police Department. He has requested an internal investigation to address the retaliation against him. Agent James Casa also took a transfer to Florida. Agent Carlos Canino, once the deputy attache in Mexico City, was moved to Tucson. Agent Jose Wall, formerly assigned to Tijuana, was moved to Phoenix. Agent Darren Gil, formerly the attache to Mexico, retired. Perhaps the most courageous of all the whistleblowers is Senior Agent John Dodson. He was the first to come out publicly, the first to agree to have his name mentioned, and the first to go on-air with Sharyl Attkisson of CBS without a hidden identity. As might be expected given the management culture of ATF, Dodson's life since then has been hell. This was after he moved his family from Virginia to take the Phoenix position. Before his transfer to South Carolina, managers openly retaliated against Dodson by giving him the worst duty and even going so far as to turn off his building badge. If there was a fund to help Agent Dodson get through this period, I'd donate in a heartbeat. If there isn't a fund, there should be one. Moreover, in an entirely just world, Bill Newell and David Voth would be Federal inmates and their assets sold so as to compensate the victims of Project Gunwalker. The Complementary Spouse's nephew, Aaron Elam, is a freshman at the University of Kentucky. As part of a team project for an English class, he and his team submitted the video below arguing for concealed carry on campus. I think they not only did a good job but they understand just how defenseless they really are in so-called gun-free zones. Congratulations to Aaron and the rest of his team for a job well done. Feel free to pass this video on as part of their assignment is to distribute it. Let's see if it can go viral. Ginny Simone of NRA News interviewed Ed Head yesterday about the varying estimates of firearms that have been traced from the United States to Mexico. Head, who is currently the rangemaster and an instructor at Gunsite Academy, was a Field Operations Supervisor with the Border Patrol prior to his retirement in 2001. Head made the point that just because a firearm is "sourced" to the United States does not mean it entered Mexico illegally. He pointed out that the United States sells weapons to the Mexican Army along with those of a number of other Central American nations. Head pointed out that many American-made weapons in the hands of the cartels are being stolen or diverted from the Mexican Army. Moreover, other weapons in the cartel's hands were legally sent to the militaries of such Central American countries as Guatemala. To blame border state gun dealers for this is wrong, Head said. In a scene reminiscent of the Nixon Administration during the Watergate Scandal, Attorney General Eric Holder lashed out at a reporter for The Daily Caller. The reporter asked Holder for his response to the growing calls in Congress for his resignation over his role in Operation Fast and Furious. Holder's response? Holder was at the White House to help launch the Intellectual Property Theft Campaign when he made his demand that The Daily Caller stop running articles about members of Congress asking for Holder's resignation. Methinks the pressure is starting to get to the "cool guys" in the Obama Administration. UPDATE: The Joyce Foundation funded hacks at Media Matters are applauding Holder's response to the reporter from The Daily Caller. Either way, Holder is right: This isn't a grassroots movement of conservatives calling for Holder to step down, it's a concerted effort by a supposed media organization to push him out. This reminds me of Baghdad Bob - Mohammed Saeed al-Sahhaf - who would insist that Saddam's army was winning as American tanks were rolling into the city. There are plenty of us in the grassroots who would like to see Holder gone. The reason the hacks at Media Matters don't recognize it is they don't know what real grass looks like. All they know is Astro-Turf. According to the FBI, two weapons were found at the murder scene of Border Patrol Agent Brian Terry. The bullet removed from Agent Terry matched the caliber of those two weapons, not the caliber of the weapons in possession of the Border Patrol agents, so it appears he did not die from friendly fire. Congressional investigators have asked the FBI to explain its theory of the case, since if there was no third gun at the scene and the bullet didn’t come from the Border Patrol, there must still be an unknown third gun which law enforcement has not yet recovered. It is possible that that third gun is not related to Fast and Furious. However, since two guns walked in Fast and Furious were present, it is possible that a third may have been as well. The two found at the scene were both part of a lot of three weapons purchased by known straw buyer Jaime Avila on the same day in January 2010. Prior to the purchase of the weapons found at the Terry murder scene, Avila had already been identified by the ATF as a likely straw purchaser at least two-and-a-half months earlier. In November 2009 Uriel Patino, the largest purchasing target in Operation Fast and Furious, brought Avila into a cooperating gun dealer to buy five weapons. ATF received real-time notice from the gun dealer and knew the purchases were significant enough that agents rushed to the store to follow them. However, they arrived too late. Yet rather than going to Avila’s address to question him, ATF opted to sit back. Avila continued to purchase through December 2009 and into January 2010. When the weapons found at the Terry murder scene were bought by Avila on January 16, 2010, the cooperating gun dealer gave the ATF same-day notice via fax. One business day later, the ATF entered the purchases in their Suspect Gun Database. Nevertheless, the ATF still failed to question Avila the day of the purchase, the day the purchase was entered into the Suspect Gun Database—or at all, until Avila was arrested 11 months later in direct response to Agent Terry’s death. The falsification of forms charge for which Avila was arrested on December 15 could have been made months earlier. Regardless, by using the word ‘directly,’ Holder seems to be echoing the statement of Assistant Attorney General Lanny Breuer: “The tragic truth is that if those criminals who killed Agent Terry had not gotten the guns from this one source, they would have gotten the gun from another source.” That is hardly an excuse for federal law enforcement to watch criminals collect more than a thousand firearms without acting to stop them. The link to all the supporting documents can be found here. In their orders released today, the Supreme Court denied Sean Masciandaro's writ of certiorari without any comment. He had appealed to the Supreme Court from the 4th Circuit Court of Appeals which had punted the case. Mr. Masciandaro was originally convicted of possessing a firearm on National Park Service property when he had stopped to take a nap before continuing his drive home. At the time of his arrest this was illegal but the law changed before he went to trial. Nonetheless, under existing precedent, this was valid even though it was no longer illegal. On one hand, I am sorry that the Supreme Court did not take this opportunity to clarify their rulings in Heller and McDonald. On the other hand, this opens the door for the Supreme Court to consider some of the cleaner cases working their way through the lowers courts. By cleaner I mean ones that do not involve a criminal conviction but rather deal with the denial of permits or state laws that deal with carry. Some of these better cases include Woollard v. Sheridan in Maryland, Bateman v. Perdue in North Carolina, and Kachalsky v. Cacace in New York. These three, I should note, are all Second Amendment Foundation cases with Alan Gura as the lead attorney. Todd Vandermyde, the NRA-ILA representative for the state of Illinois, was interviewed by Cam Edwards of NRA News on Fr. Michael "Snuffy" Pfleger's recent press conference objecting to concealed carry in Illinois. As Vandermyde said, things are getting tough even in Illinois for the gun prohibitionists if they have to trot out Fr. Pfleger for a press conference during Thanksgiving Week. As to the why he is called Snuffy, Fr. Pfleger called for snuffing out gun dealers in the Chicago area a few years ago. He, of course, denies he meant for any harm to come to them. Pfleger's sacramental faculties - the right to celebrate Mass, consecrate the Eucharist, etc. - were suspended earlier this year by Francis Cardinal George of the Chicago Archdiocese. It is my understanding that Pfleger is now back in the good graces of the Church after making his amends with Cardinal George. According to this story on WHNT, Huntsville, Alabama is seeing a great increase in burglaries. Because of this many people are arming themselves against burglars as well they might. According to the story, Huntsville Police said there were 241 burglaries of homes and businesses during the month of October. WHNT interviewed the head of the Alabama State Rifle and Pistol Association, James Moses of Huntsville, who generally gave some good advice. For example, he emphasized training and safety saying "both long-time and new gun owners (are urged) to brush up on basic firearm safety skills, and take instruction classes if needed." He also emphasized that people need to be able to identify their target and make sure it is an intruder - and not a family member - they are preparing to shoot at. If he (a burglar) is in my house and I can get to my gun and get it loaded, I'm not going to give him a chance to hurt me or hurt my wife. The question I would ask is why his gun is unloaded. Armed burglars and home invaders are not going to give you the time to open up the gun safe, pull out your shotgun, rummage around for a box of shells, and then load it. If you are worried about small children, then take the advice of Kathy Jackson of Cornered Cat fame and keep your pistol on your body. With the rash of home invasions occuring nationwide, that isn't bad advice for everyone. This weekend, the New York Times and the Arizona Republic, two papers on opposite ends of the country, featured stories in which gun bloggers played a role. To see this much recognition paid to gun bloggers by major newspapers is frankly amazing. I don't think I'd be overstating things if I said that most in the media consider us gun bloggers as crazy fringe types ranting about gun rights, the Constitution, and the Second Amendment or posting about arcane topics such as the difference between .308 Winchester and 7.62 NATO. The New York Times's lead story in their Sunday Business section was about Cerberus and the Freedom Group. In a rather straightforward story, Times reporter Natasha Singer described how financier Stephen Feinberg, CEO of Cerberus, created what has become the Freedom Group of companies starting with Bushmaster and then adding icons such as Remington, Marlin, and Harrington and Richardson to the mix. The story details their place in the market, the relative lack of handguns in their product mix, and how this last factor could impact Freedom Group's growth as concealed carry expands. It is in the discussion of the growth of Freedom Group that gun bloggers are mentioned. Still, the Freedom Group has ingested so many well-known brands so quickly that some gun owners are uneasy about what it might do next. Two years ago, a Cerberus managing director, George Kollitides, ran for the board of the N.R.A. Despite an endorsement from Remington, and the fact that he was a director of the Freedom Group and Remington, he lost. His campaign didn’t sit well with some gun bloggers, who viewed him as an industry interloper. Andrew Arulanandam, the N.R.A.’s director for public affairs, declined to speculate about why Mr. Kollitides lost. “It’s a great question to ask our four million members,” he said. The gun bloggers mentioned in the story are Sebastian and Bitter of Shall Not Be Questioned. It links to their 2009 endorsements for the NRA Board of Directors where they discussed why they were not endorsing George Kollitides. The initial story line of Fast and Furious was about outrage -- anger that guns, let out of sight, had been used in crimes. But the backstory of the investigation is one of hidden motives, curious contradictions and strange allegiances, both among those who organized the effort and those who exposed it. It goes into detail on how Senior Agent John Dodson sought out the advice of ATF veterans Jay Dobyns and Vincent Cefalu who eventually began to network with bloggers David Codrea and Mike Vanderboegh. Dobyns and Cefalu began networking with two of the most prominent and prolific Second Amendment bloggers in America. David Codrea, an Ohio-based writer, is field editor for GUNS Magazine and an author on a website known as "The War on Guns: Notes From the Resistance." Mike Vanderboegh runs a website, Sipsey Street Irregulars, which he identifies as a gathering place for the 3 percent of Americans willing to fight for the right to bear arms. Vanderboegh and Codrea, longtime friends, this year received Soldier of Fortune Magazine's Second Amendment Freedom Award and the David and Goliath Award from Jews for Preservation of Firearms Ownership. Dobyns says he turned to the bloggers because of a shared animus toward ATF administrators. "Do they have an agenda? Of course they do," he said. "But it's my experience that they're not anti-ATF; they're anti-bad ATF." Codrea and Vanderboegh began churning out essays on Fast and Furious, even giving the operation its sardonic nickname, "Project Gunwalker." They joined forces with other bloggers, government employees and gun dealers in what Vanderboegh calls "a coalition of willing Lilliputians." The story recognizes the role that Codrea and Vanderboegh played as intermediaries between the whistleblowers and Congressional staffers. Indeed, it was their pressure that got people like Sen. Chuck Grassley to pay attention to the whistleblowers and give them protection. It also makes note of how improbable it was that a pair of Threepers got together with the ATF whistleblowers. In interviews, Vanderbeogh and Codrea chuckle at the irony of government agents relying on their critics to find a congressional audience. "It's so improbable that ATF guys would come to us, the Second Amendment advocates," Vanderbeogh says. "But we realized we did have common enemies in the ATF hierarchy." I am glad to see gun bloggers get their due in both stories. It is about time. 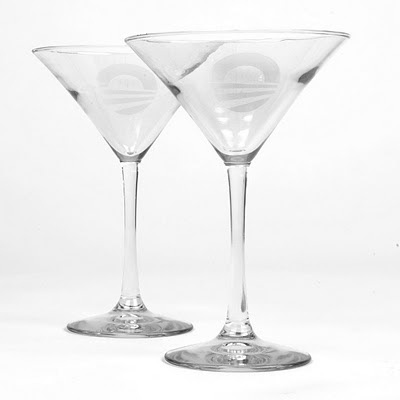 The Obama for America 2012 site is pushing this martini glass set with which to "toast to victory in 2012." 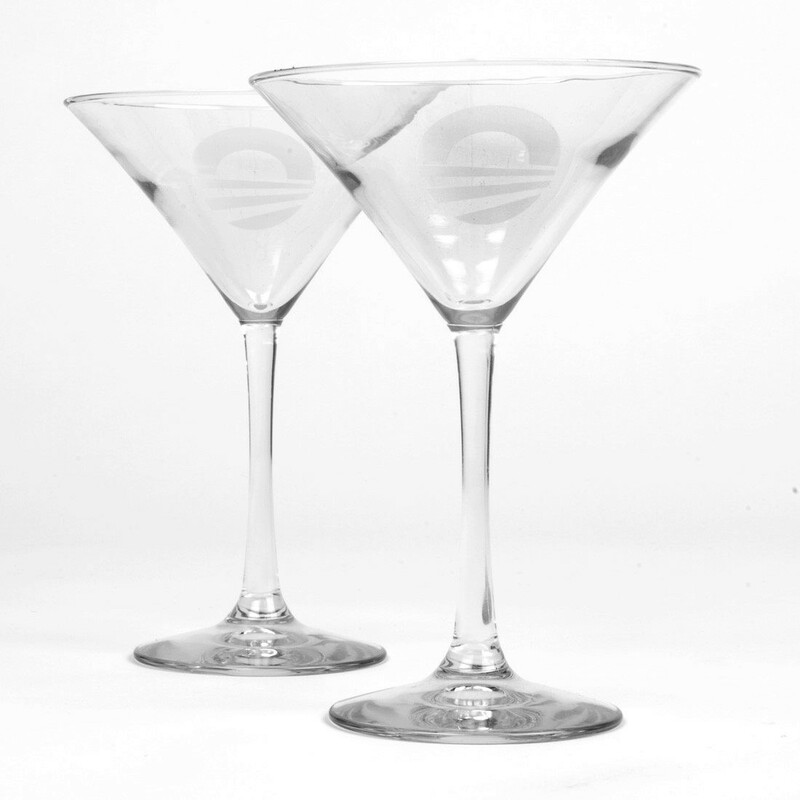 These glasses - and the cult of Obama - are enough to make one a teetotaler or, at least, to drink straight out of the bottle. Oh, and to celebrate Obama's 88th round of golf of his presidency and 30th this year, you can also get the Obama Golf Divot Tool. I don't usually brag about finding good deals at stores. This time I have to make an exception with the hope that others might be able to take advantage of it. The Complementary Spouse and I were cruising one of the local Walmarts last night long after the Black Friday crowds had dispersed. At the end of a gondola in the sporting goods department was a rack of hard-shell gun cases. They were the Plano Gun Guard All Weather 36" gun case. 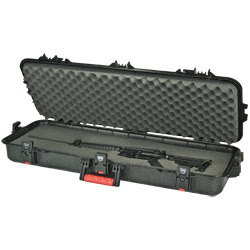 It is similar to the Pelican Storm gun case which I have been lusting after. It probably isn't as well built as the Pelican and doesn't have the in-line wheels but it still looks to be a good sturdy case MidwayUSA will have one of those on sale tomorrow for $149. As it is Amazon has the case I bought for $99 and Cheaper Than Dirt lists it at $109. The price I paid? $30 each. I bought five of them and I anticipate I'll probably give at least a couple of them as gifts. The UPC code is 0-24099-10836-2; the SKU number is 108360; and the item number is 992965. If your Walmart will price match other Walmarts, the telephone number for the Walmart I bought it at is (828) 333-9505. At the very least, it never hurts to ask. I hope others will be as lucky as I was this afternoon! The CalGuns Foundation is opening an online store and it opens tomorrow! Not only can you get some cool stuff but since they are a 503(c)(1) non-profit, part of your purchase price counts as a tax deduction. How cool is that! Moreover, through the end of December they are offering 10% off with the coupon code CGFFTW. We're excited to announce the Grand Opening of the NEW CGF store, and to celebrate what we think is a really cool way to support your rights we're offering a 10% off coupon for all purchases through December 31! Remember, a portion of every purchase is tax-deductible! This is a chance to buy some cool stuff and help an organization that is on the front lines - literally - of the battle for the Second Amendment. Last year about this time, I posted all the Black Friday (or earlier) sales that were gun, knife, tactical, or outdoor related that I could find. Here is the 2011 edition. I have included any coupon codes that are needed. If you find others, please share them in the comments section. Brownells will again have their Black Rifle Friday featuring special pricing on a number of items. It begins at 12:01am on Friday. Every day from Monday, Nov. 21st through Monday, Nov. 28th, MidwayUSA will be offering special deals daily. For non-sale items, they are offering $15 off with a $100 purchase if you use Promo Code 11281177. Order online from Galco on Friday November 25th through Sunday November 27th and get 20% off your complete order! Just enter promotional code BF2011 in the coupon field to receive your discount! Excludes custom-made or exotic-hide items. Is offering 20% off their entire line of holsters, gun belts, and mag pouches on Friday only. The coupon code is BLACK-2011. I bought one of their contoured and tapered gun belts last year on this sale and love it. all MAGPUL Retail prices this week. Plus FREE shipping on orders subtotaling $25 and up with no code required. Code and Shipping discount valid until Cyber Monday at Midnight. They are having Camo Thursday where they will giving away one free order every hour plus will have specials on camouflage clothing. They also have free standard shipping. The coupon code is GME1124. 10% off orders of $100 or more with coupon code NOV10 and 15% off of all orders of $150 or more with coupon code NOV15. Sale has started and is good through Nov. 28th. 20% off on all items and 25% on selected items. Good through Saturday, Nov. 26th. Use coupon code PN11BF20. They will also have the 12 Deals Of Christmas starting on Nov. 29th. Sign up for them on their website. Is having their Back in Black, Part II sale featuring 30% off on all their black shirts, jackets, patches, flags, and hats. Ends Sunday. Their pre-Black Friday sale features 20% off of all apparel and 10% off of all knives. Offering $10 off all $100 orders; $20 off all $200 orders; and $30 off all $300 or more orders. This offer is good from today through 11:59PM EST on Nov. 28th. The coupon code is S1000663. Offering 15% off of all U.S. made knives through Nov. 30th. These include knives by Case, Schatt and Morgan, Canal Street, Buck, and Yellowstone. The one-time use coupon code is USMADE. They are also offering free standard shipping within the United States. In-store on Friday only are such deals as $14.99 for a box of CCI Blazer Brass .45 ACP and $289 for the Taurus 640 in .40 S&W. Sale starts at Noon (Central Time) on Thanksgiving and goes through Midnight on Monday, Nov. 28th. They have complete AR-15s for as low as $500 and complete AR uppers for $335. They have already started their Black Friday sale. Among the items on sale are DPMS Oracle AR-15s for $599. If you have one near you, they are selling the Cannon 36-gun safe for $699 on Friday only. Normally this is $999. They are calling their sale the Dark Earth Friday Sale because everyone has a Black Friday sale. They are offering 30% off on all accessories for your AR, AK, etc. from Wednesday, Nov. 23rd through Monday, Nov. 28th. Use coupon code DE. Elite Tactical Components will be featured again on Gearhog on Thanksgiving and Black Friday!! You’ll have a chance to get $30 Gift Cards for only $15!! The deal will start on Gearhog on Thanksgiving Day (Thurs 11/24) through Black Friday! This will be in addition to their Black Friday deals on Adams Arms Uppers (PDW's, Tactical Elites, 5x45's, 5.56 & MORE!! ), Troy & Magpul Iron Sights, EOTech & Aimpoint Sights,.308 Uppers, etc. Will be offering 10-20% off on their tactical flashlights starting now. UPDATE: Here are more to add to the Black Friday list. It is the time of the year again, when everyone has a boring Black Friday Sale...and Grey Group gets a little crazy. Beginning the 23rd of November and running through the 4th of December Grey Group will be running the A Very Grey 12 Days of Christmas. Each day will feature different killer sales from Gear, Training, Outerwear, Footwear, Electronics, Weapon Accessories, and more... Keep an eye on the Grey Group Facebook, Grey Group Community, Grey Group Twitter, and the front of the Grey Group Online Pro Shop for the sale of the day. Starting on Thanksgiving Day, the exclusive savings run through midnight, on "Cyber-Monday", November 28! Selected items have special, reduced prices, available all weekend; AND, by using the code customers can take and additional 10% off the sale price! They are giving 10% off on orders of more than $199. The code can be found on their website on Thanksgiving. Another of the Brownells companies, they will be having Black Ops Friday. You save 10% on purchases of over $199. The code will be available on their website and can be used for Brownells and Sinclair International as well. UPDATE II: I have a bunch more to add to the list! They are having a Black Friday Super Sale with 6am to 10 am doorbusters which include Nikon binoculars for $49. The rest of the all day sale includes things like the Ruger SR9c for $389 and the Marlin 795 .22 semi-auto rifle for $99.99. Check back with them on Cyber Monday as they will have online specials with free shipping. They are offering free shipping for orders over $50 and then 10-15% off on orders of $100 and $150 respectively. The coupon codes are FREESHIP, 10FREESHIP, and 15FREESHIP. They will offer free shipping on Cyber Monday for all orders over $50. The coupon code is CYBERMON. Offering a Thanksgiving Weekend sale which includes things like a Moisin-Nagant package, both a M91/30 and a M44, for $219, 10% off on all accessories, and Tula .308 ammo for $125 for 500 rounds. The code is blkfriday. They also offer free shipping on many of the accessories. Thanksgiving Only. Free shipping with coupon code THANKS2011. Free shipping for all orders over $500 through midnight Nov. 27th. Use coupon code FREESHIP. Will have Blaze Orange Friday with a number of items on sales. Starts at 8am MST on Friday. Also will be offering 15% off all Filson items through Dec. 2nd. Free shipping for all orders over $100 with coupon code freeshipping and $3 shipping for order under $100 with coupon code 3ship. Black Friday only sale expires at 7pm CST. $5 shipping on Internet orders. Many items below dealer cost. Offering a S&W M&P 1522 at $50 off through Nov. 28th. Use coupon code BLACK2011. Free shipping on orders over $99 through Dec. 5th with coupon code SH280. Thanksgiving Only. Includes both knives and books. Free shipping with coupon code THANKS2011. On Cyber Monday, everything is 20% off and includes free shipping. 10% off with coupon coder BF10 through Nov. 27th. Sale includes Streamlight TRL1S light for $89 and Aimpoint T-1 with quick release mount for $529. Other compilations of Black Friday-Cyber Monday sales can be found at Soldier Systems and the Michigan Gun Rights Examiner. What is bacon jam? Well, we take a big bunch of really, really good bacon and render it down...add a bunch of spices, onions, etc. and let it simmer for about 6 hours, give it a quick puree, blast chill it...take a left turn, and end up in pure bacon heaven. My mouth is already starting to water! 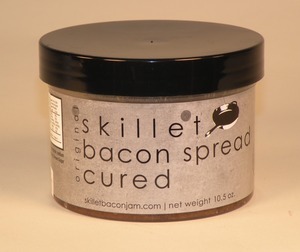 Skillet Street Food's online store is here and they will ship in both the US and Canada. Now that HR 822 has passed the House of Representatives in overwhelming fashion, it moves to the Senate. Unless I am greatly mistaken, there is significant pressure on senators from both sides of the debate. The Brady Campaign is ramping up the pressure with an auto-mailer campaign asking senators to vote no. Nonetheless, even they admit they don't have the votes to stop it. I sent an email today to Sen. Kay Hagan (D-NC) about the bill. While I have no worries that Sen. Richard Burr will be a solid backer of the bill, Hagan can be wishy-washy despite her claims of being a Second Amendment supporter. What surprised me was that I got an email back from her office almost immediately discussing her stance - if you could call it that - on the bill. If she hadn't been getting lots of mail on the issue, she wouldn't have been so prepared to issue something other than a generic thank you for your letter response. Thank you for contacting me regarding National Right-to-Carry Reciprocity Act (H.R. 822). I appreciate hearing your thoughts on this important issue. This bill was introduced in the House of Representatives on February 18, 2011, and was referred to the House Subcommittee on Crime, Terrorism, and Homeland Security. If enacted, the bill would allow any person with a valid state-issued concealed firearm permit to carry their firearm in any other state that also issues concealed firearm permits. Currently, 48 states, including North Carolina, have laws permitting residents to carry concealed firearms. While H.R. 822 has yet to reach the Senate, I pledge to keep your thoughts on this issue in mind. My family, like the great state of North Carolina, has a long tradition of hunting and gun ownership, and I take great pride in that heritage. I have opposed requiring gun owners to obtain federal licenses or creating a federal system to track gun sales and transfers, as I believe these proposals would infringe this important constitutional right. I will continue to support the rights guaranteed under the Second Amendment. If you haven't already done it, it is time to contact both of your state's senators and urge them to vote for the National Right-To-Carry Reciprocity Act of 2011. I wouldn't want to think that our voices could be drowned out by an auto-mailer run by the Brady Campaign. Attorneys for the Second Amendment Foundation, the Nebraska Firearms Owners Associations, and Armando Pliego Gonzalez have won a preliminary injunction against the City of Omaha over a city ordinance that prohibits the registration of handguns in the city by legal resident aliens. You can read earlier posts about the case here and here. BELLEVUE, WA – A federal judge has granted a preliminary injunction against enforcement by the City of Omaha, NE of an ordinance that prohibits legal non-citizens from registering handguns in the city, in a case brought by the Second Amendment Foundation, the Nebraska Firearms Owners Association and Armando Pliego Gonzalez. The order was granted by U.S. District Judge Joseph Bataillon while the court considers whether the registration ban for legal immigrants is unconstitutional under the Second Amendment. As it turns out, he noted, the city is currently reviewing its ordinance with an eye on amending it to allow legal immigrants to register handguns. According to the Omaha World Herald, the proposed changes have the support of Omaha Police Chief Alex Hayes, who was named as a defendant in the lawsuit, along with Mayor Jim Suttle and the city. “We are encouraged at these developments,” Gottlieb stated. “We had a similar experience with a state law in Washington that was changed following a SAF legal action. We will oppose such discriminatory laws and regulations wherever we find them. Plaintiffs are represented by attorneys Bernie Glaser of Lincoln, and David Sigale of Glen Ellyn, IL. This is totally off-topic but it features parts of one of my favorite Saturday Night Live sketches. The original case, Haynie et al v. Harris, was dismissed in late October by the US District Court for the Northern District of California because the Court said they didn't have a realistic chance of being re-arrested. The Court did give the plaintiffs leave to file an amended complaint. While the Court was actually considering the motion to dismiss from the State of California, Brendan Richards, one of the plaintiffs, was arrested again for possession of an "assault weapon". Again the charges were dismissed after the state's expert determined that Mr. Richards' M1A was not an assault weapon under California law. As one commenter on the CalGuns Forum said in response to the question as to what were the odds of this happening, they were "greater than unrealistic." An amended complaint was filed on November 4th. The complaint can be read here. BELLEVUE, WA – The Second Amendment Foundation has filed a federal lawsuit challenging the constitutionality of California’s ban on so-called “assault weapons,” claiming that the statute is “vague and ambiguous” in its definition of assault weapons, leading to the arrest of a California man on two different occasions. SAF is joined in the lawsuit, which was filed in U.S. District Court for the Northern District of California, by the CalGuns Foundation and Brendan John Richards, an honorably-discharged Marine and Iraq war veteran, who was arrested and jailed in May 2010 and August 2011. On both occasions, charges against Richards were dismissed when it was determined that he had not violated the law because firearms in his possession on both occasions were not “assault weapons” as defined by California law. They are represented by attorneys Donald Kilmer of San Jose and Jason A. Davis of Mission Viejo. Named as defendants in the lawsuit are California Attorney General Kamala Harris, the California Department of Justice, the Sonoma County Sheriff’s Office and Deputy Greg Myers. “It’s an insult to be arrested once for violating a law that is so vague and ambiguous that law enforcement officers cannot tell the difference between what is and what is not a legal firearm under this statute,” said SAF Executive Vice President Alan M. Gottlieb, “but to be arrested and jailed twice for the same offense is an outrage. Brendan Richards’ dilemma is a textbook example of why the California statute should be nullified. “On both occasions,” he continued, “Mr. Richards was jailed and had to post non-refundable bail fees. He lost work due to his incarcerations. In both cases, the same Senior Criminalist John Yount issued reports that the firearms in Richards’ possession were not ‘assault weapons’ under California law. Mr. Richards now has a reasonable fear that his exercise of his fundamental Second Amendment rights will result in more wrongful arrests. We’re delighted to step in, with the CalGuns Foundation, on his behalf. SayUncle linked to the Forgotten Weapons Blog this morning. He said you could lose a whole morning there. He is absolutely correct! However, given the number of old and odd weapons that they examine in detail, I think they should rename the site - Cruffler Heaven. It is that good. I mean where else are you likely to find a video disassembly guide to the Bergmann-Bayard M1910 as well as articles on the manufacturing process for the P.08 Luger. They even have manuals for the French MAS 49/56 which was one of my early C&R purchases. Now if I could only read French. Sebastian at Shall Not Be Questioned has a very insightful look at the GOP field that he posted yesterday. As much as I don't really care for Willard Mitt Romney, given the problems every other front-runner has had - and the media's determination to sabotage them - it is looking more and more likely that Romney will be the last man standing. The Quote of the Day comes from a comment on Sebastian's post by "Gnarly Sheen". This election feels more and more like someone taking you to a maximum security prison and asking you to pick whichever inmate you want to take care of your mother for the next four years. Damn if Gnarly Sheen hasn't hit the nail on the head! As to Sebastian's central position, that the next President could very well appoint 2-3 Supreme Court Justices and that is what really is at stake, I think he is right. Sandy Froman made that same observation at the Gun Rights Policy Conference when she quipped, "Pray for the Five". There are a lot of post-McDonald cases wending their way through the District Courts. We need appellate level judges who will stand by the Second Amendment and for that reason, and that reason only, I would vote grudgingly for Romney. It's a helluva choice, ain't it? While I have often been critical of the NRA when they have meddled in court cases or have brought cases with not enough focus, I have also recognized that they are very good in the electoral and legislative arenas. A prime example of their legislative expertise can be seen in the items included of interest to gun owners in the recent minibus appropriations bill. The final conference report on the combined Fiscal Year 2012 Agriculture, Commerce/Justice/Science (CJS) and Transportation/Housing/Urban Development (THUD) Appropriations bills—also known as the “Mini-Bus,” was passed by both the U.S. House and the U.S. Senate, and has been signed into law. One of the most important ways that Congress has protected the Second Amendment is through a number of general provisions included in various appropriations bills. Many of these provisions have been included in the bills for many years—some of the provisions go back almost three decades. This conference report is no exception, as it contains 12 provisions that strengthen the Second Amendment and protect the American people. Today Is National Ammo Day! Lest you forget, November 19th is National Ammo Day. 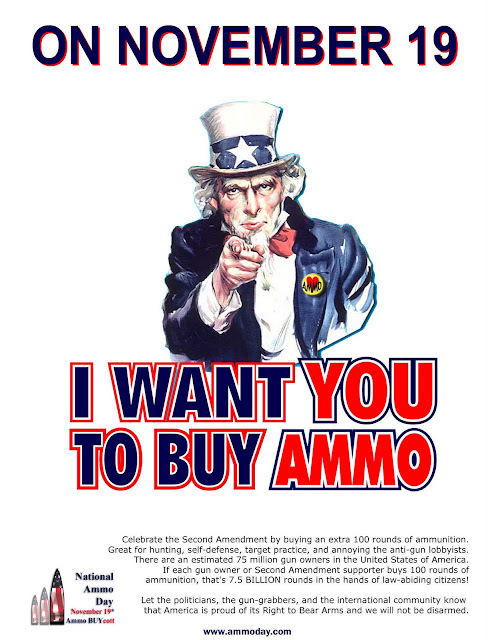 If you want to make it National Ammo Day week, you have through next Saturday, November 26th to make your purchase. Of course I placed an order this past week so it doesn't count. If you use the LuckyGunner.com link on the right side of this page to make your purchase, you will not only get good ammo at a good price but I donate all commissions paid to the Second Amendment Foundation. The Town of Garner (North Carolina) is holding a meeting this coming Tuesday to discuss amending their local park ordinance to comply with HB 650. Grass Roots North Carolina believes that they will do the bare minimum possible and will attempt to make it as restrictive as the new law allows. Because of this, they have sent out this alert. Sean Sorrentino of An NC Gun Blog and a resident of Garner is heading up the efforts there. As we have noted recently, the town of Garner is currently considering the issue of their local park ordinances in light of HB 650 which will go into effect on Dec. 1. Recent communications with council members indicate that they intend to offer up the bare minimum mandated by the new law. Meaning they plan to post in the few areas they are allowed to under a weakening amendment which GRNC fought to strip from the law. This allows them to post "recreation" areas. Communications with Council Member Buck Kennedy takes a tone that he believes they are doing you a favor by extending the carry areas as they are required by the new law. You will say, "well, parents could just sit outside the immediate playground area and be within the law." I can just see it. "Sorry little Johnnie, Daddy can't push you on the swing because he would face 6 months and a $500 fine if he did." Or maybe "Oh, little Julie, I'm sorry you fell off the slide and broke your leg, but Mommy can't come hold your hand over there until the ambulance comes because she'd go to jail. Drag yourself onto the other side of this sign so I can help you." There is also to consider the recent attempted kidnapping of a 3-year old from a Charlotte park. It would be revealed afterward that the criminal in this case had been arrested 102 times. The child's mother was forced to wrestle the man to the ground in order save her son from an uncertain fate. Her gutsy actions resulted in the man's 103rd arrest... and that is just in Mecklenburg County. Should a mother be forced to physically grapple with a male felon who has spent time in jail and could well be: 1) physically larger and stronger; 2) armed with a gun or knife; 3) drugged; 4) diseased from his time in prison and habitual drug use? All this to make those with an unreasonable fear of weapons in the hands of the law abiding feel better? Is this reasonable? The Council of Garner may feel that the bare minimum is good enough but, gun owners want more than the bare minimum. Now it is up to you to attend the meeting and let them know this. You will need to attend their next meeting on Tuesday, November 22. Contact Sean Sorrentino, who will be coordinating our efforts in Garner at sean@seansorrentino.com for more information. All citizens of Garner MUST ATTEND the meeting on November 22 at Garner Town Hall, Building B in the Council Meeting Room. People should be able to protect their families. Dave Kopel appeared before the Senate Judiciary Committee's Subcommittee on Crime and Terrorism Tuesday to testify against Chuck Schumer's S. 436 - the Fix Gun Checks Act of 2011. I used part of his testimony for Wednesday's Quote of the Day in which he described S. 436 as unconstitutional. Here he is discussing his full testimony - and his testimony in favor of HR 822 - with Cam Edwards of NRA News. I had a chance to meet and chat with Dave on the bus from the airport at the Gun Rights Policy Conference. He is definitely an interesting guy and I'm glad he is on our side. As might be expected, the Brady Campaign released a statement yesterday condemning the passage by the House of HR 822 - the National Right-to-Carry Reciprocity Act of 2011. The statement is replete with plays to emotion, the parsing of language to create the wrong impression, and at least one outright lie. Let's look at the first part of the statement. Washington, D.C. – Just hours after Gabby Giffords spoke publicly for the first time and shared her painful but remarkable story of recovery from being shot in the head, the U.S. House of Representatives passed a bill that would force states to allow dangerous, violent and untrained gun owners from out-of-state to carry loaded, hidden guns in virtually every state. The National Right-to-Carry Reciprocity Act, H.R. 822, is the first major gun bill taken up and passed by the House since the January 8 Tucson shootings and is an affront to victims of gun violence everywhere, especially those who have lost their lives and been wounded since the Tucson tragedy. The bill the Brady Campaign has named the “Packing Heat on Your Street Act,” passed despite concerns about overriding states’ rights from moderate Democrats and some Republicans. The battle over the legislation now moves to the U.S. Senate. As we see, the Brady Campaign goes straight for the emotional heartstrings. It brings up the image of a recovering Gabby Giffords - who by the way supports gun rights - to denigrate this bill. They call it an affront to "victims of gun violence". They call forth the image of the deranged Jared Loughner as the image of the concealed carry permit holders nationwide. The same person who, if both school officials and Pima County Sheriff Clarence Dubnik had done their duty properly, would not have been eligible to purchase a firearm. They then move into parsing their language. Under H.R. 822, people with violent arrest records and gun owners with no training could be granted a concealed gun permit in one state and carry in almost any other state. Local law enforcement officials would be powerless to stop it. National and state law enforcement organizations, such as the International Association of Chiefs of Police and Major Cities Chiefs Association, strongly oppose the measure because more loaded, hidden guns in more communities will undermine public safety. So do 34 national faith-based organizations that make up the Faiths United to Prevent Gun Violence coalition. An arrest for any crime is not the same as a conviction for a crime. However, the Brady Campaign tries to make it seem that an arrest is the same as a conviction. They then speak of law enforcement groups such as the IACP and the Major Cities Chiefs Association opposing this bill without ever saying these groups have well-known anti-gun agendas. It gets even worse when they bring up Faiths United to Prevent Gun Violence without saying that they themselves helped found this organization! Finally, they resort to outright lies and distortions about HR 822. The Brady Campaign and other gun violence prevention groups have warned that H.R. 822 is an even more dangerous bill than when it was originally proposed, thanks to an amendment sponsored by Rep. Trent Franks (R-Ariz.) that passed the House Judiciary Committee in October. The amendment overrides a state’s authority to enforce its basic limitations on gun possession on concealed carriers from other states even if they are ineligible to possess a handgun in the state where the carrying occurs. Under the version of H.R. 822 that has now passed the House, this same prohibition would be unenforceable against someone with a concealed carry permit from another state who is caught with a gun in Tennessee while intoxicated. The prospect of a concealed weapon permit holder being arrested while armed and intoxicated is hardly fanciful, since the state legislator who championed Tennessee’s law allowing guns in bars was arrested recently for possessing a handgun while under the influence. “We’re now calling on the Senate to consider the serious implications of supporting such a law.” Henigan said. “The American people are counting on you to keep their families and communities safe from gun violence.” The Brady Campaign has identified three key reasons that the “Packing Heat on Your Street Act” would undermine the safety of American women, children, men, and our communities. The legislation would override state laws, forcing states that have tight restrictions on who can get concealed weapon permits, such as New York and California, to allow gun-toting people from states, such as Florida, which repeatedly have given dangerous people licenses to carry. The legislation forces states to allow untrained, out-of-state visitors to carry loaded, hidden guns, even though studies repeatedly have shown that laws making it easy to carry concealed guns do not reduce crime, and, if anything, increase violent crime. The legislation forces states to allow out-of-state permits, even though state concealed weapon licensing systems operate under different rules, apply widely varying standards, ultimately endangering law enforcement officers and the general public. Section 2 of HR 822 explicitly says the possession or carrying of a concealed weapon - with the exception of the eligibility to carry or possess - is subject to the same limitations that a resident of that state would be under. Thus, a resident of North Carolina visiting New Jersey would be subject to the same rules and regulations as a resident of New Jersey. The only difference is that the North Carolinian wouldn't have had to been kidnapped like New Jersey resident Jeffrey Muller in order to have been granted a permit to carry. There have been no reputable studies done that show any increase in violent crime as a result of shall-issue concealed carry. Any study done by gun control advocates such as the Violence Policy Center doesn't count as a reputable study. Indeed, if anything, there is a negative correlation between murder and other violent crimes and the level of gun ownership nationwide. Linoge has done two very rigorous studies on this. The Brady Campaign needs to just give it up. They can't even lie convincingly anymore. Moreover, as Bitter pointed out on Twitter yesterday, none of the Representatives voting no on HR 822 said it was because of the Brady Campaign. They have become sad pandas indeed. Following up on their announcement on Tuesday that they were releasing polymer magazines for the Scout Rifle, Ruger has released this interview with the designer of the magazines. While certainly the quality of the original Accuracy International magazines were not in question, they were not inexpensive. To put it in perspective, Ruger lists the MSRP for the steel 10-round mag as $70 while that for the polymer version is listed at $39.95. While neither is cheap, you can buy almost two of the polymer magazines for the price of the steel mag. In this interview, Ruger engineer Dave Kangus explains how and why he developed the polymer magazines for the Scout Rifle. To show how tough these new magazines are, Mark Gurney of Ruger does a bit of destructive testing of them. The torture test include running over the mag with a half ton truck and hitting it as if it were a baseball with an aluminum bat. They came through with flying colors. The Scout Rifle is on my list of guns I want to buy. Having mags available at a lower cost is going to be a plus for me. The NRA-ILA released this statement on the passage of HR 822 yesterday. As Chris Cox notes, this moves us one step closer to improving self-defense laws in the U.S. This bill does not affect existing state laws. State laws governing where concealed firearms may be carried would apply within each state’s borders. H.R. 822 does not create a federal licensing system or impose federal standards on state permits; rather, it requires the states to recognize each others' carry permits, just as they recognize drivers' licenses and carry permits held by armored car guards. “We are grateful for the support of Speaker Boehner, Majority Leader Cantor, Majority Whip McCarthy, Judiciary Chairman Smith and primary sponsors Congressmen Stearns and Shuler for their steadfast support of H.R. 822. Thanks to the persistence of millions of American gun owners and NRA members, Congress has moved one step closer to improving crucial self-defense laws in this country,” concluded Cox. I might note here that Heath Schuler is my Congressman. I haven't always agreed with him but he has always been very good on Second Amendment issues. The Citizens Committee for the Right to Keep and Bear Arms released a statement late yesterday applauding the House for passing HR 822 - the National Right-to-Carry Reciprocity Act of 2011. As Alan Gottlieb notes, this fight is not about a state's rights but about an individual's rights. BELLEVUE, WA – The Citizens Committee for the Right to Keep and Bear Arms lauded today’s 272-154 majority vote by the House of Representatives on passage of H.R. 822, the National Concealed Carry Reciprocity Act of 2011. 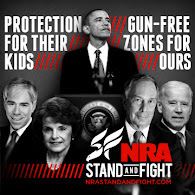 Wayne LaPierre and President Obama's re-election advisors agree on one thing - the so-called battleground states will be key to Obama winning re-election in 2012. These states have large gun-owning and hunting populations but, for the most part, went to Obama in 2008. LaPierre notes that if gun-owners can generate just 2-3% more votes against Obama in those states, he's toast. I agree. I would also add that it is up to the Republicans to nominate someone other than the wishy-washy on guns Mitt Romney. Section 22 of North Carolina Session Law 2011-268 - House Bill 650 provides universal reciprocity to any out-of-state concealed carry permit by the State of North Carolina. This was passed by the General Assembly on June 17th and signed by Gov. Bev Perdue on June 23rd. It goes into effect on December 1st. Just as the Mecklenburg Declaration predated the Declaration of Independence so, too, does HB 650 predate HR 822 - the National Right-to-Carry Reciprocity Act of 2011. By approving universal reciprocity, the North Carolina General Assembly has granted the law-abiding citizens of other states who have gone through their state's concealed carry permit process the right to carry in the Tar Heel State. So why do four Congressmen from North Carolina want to deny North Carolinians the same rights and privileges that we have granted visitors from other states? That is essentially what Rep. David Price (D-NC-4), Rep. G.K. Butterfield (D-NC-1), Rep. Mel Watt (D-NC-12), and Rep. Brad Miller (D-NC-13) are saying with their votes against HR 822. They think it is OK if someone from New York or Massachusetts or California comes to North Carolina and carries concealed with their state's permit but we North Carolinians, rude country bumpkins that we are, should not be allowed to carry there because it might upset the anti-gun regimes in those states. Sean pointed the hypocrisy of the Mayor of Carrboro objecting to HR 822 while North Carolina had granted universal reciprocity a few weeks ago. It is obvious that these four are of the same sort. Oh, they will disagree with this characterization but it is what it is - a kowtow to gun prohibitionists like Mayor Bloomberg. Fortunately, three other NC Democrats - Shuler, Kissell, and McIntyre - not only voted for HR 822 but were co-sponsors. So too were all the Republicans in the North Carolina delegation. I plan on sending each one of those nine a nice thank you note. Mayor Bloomberg and his Illegal Mayors are not happy. They want you to know that. That is why they have released this whining press release bemoaning the fact that the House of Representatives overwhelmingly passed HR 822 today. "Ten months after a disturbed man carried a concealed weapon to shoot Congresswoman Gabrielle Giffords and 18 others, six fatally, the House voted today to gut state laws on who can carry concealed, loaded guns in public. This was an absolutely embarrassing display of putting special interests and fund raising ahead of public safety. "A majority of the House ignored the advice of police, prosecutors, domestic violence experts, faith leaders and more than 600 mayors who made clear that this measure will put police and communities at greater risk. Many members also cast aside their usual respect for the authority of states to decide how to protect public safety in their communities. "With unemployment over nine percent and Congress taking no action to create jobs, it is astonishing that catering to the Washington gun lobby is the top priority for House Republicans. The vast majority of actual gun-owning Americans oppose this bill: 82 percent of them want states, not Washington, to decide who can carry concealed, loaded guns in public. "We applaud the Democratic leadership, particularly Chairman Conyers, for waging a principled fight against this bill, and offer thanks to Republican members who stood up for police and public safety, including Representatives Peter King, Michael Grimm, Bob Turner, Dan Lungren, Robert Dold and others. "The debate now moves to the Senate, which had the sense to reject this measure in 2009. We urge them to do so again." In their call to states rights, Mayors Michael Bloomberg of New York and Thomas Menino of Boston remind me of a certain Alabama governor who famously said in his inaugural speech "and I say segregation now, segregation tomorrow, segregation forever." You just need to replace the word segregation with gun control and you have essentially the same argument that George Wallace made in 1963. Wallace repudiated his words late in his life saying they were one of his life's biggest regrets. I doubt Bloomberg and Menino will ever repudiate their anti-gun rights bigotry. This afternoon at approximately 5:50pm, the House of Representatives passed HR 822 - the National Right-to-Carry Reciprocity Act of 2011 - on a vote of 272 aye, 154 nay, and 7 not voting. The ayes were comprised of 229 Republicans and 43 Democrats. Meanwhile the noes were comprised of 147 Democrats and 7 Republicans. There was only one amendment adopted prior to passage and it was Amendment No. 10 proposed by Rep. Dave Reichert (R-WA). This amendment would order the General Accounting Office to study "the ability of state and local law enforcement authorities to verify the validity of out-of-state concealed firearms permits." It was adopted on a voice vote. All the other amendments were either withdrawn or failed. The Republicans who voted no were Rep. Justin Amash (R-MI), Rep. Robert Dold (R-IL), Rep. Michael Grimm (R-NY), Rep. Peter King (R-NY), Rep. Dan Lungren (R-CA), Rep. Robert Turner (R-NY), and Rep. Robert Woodall (R-GA). Of these Republicans, Dold holds the suburban Chicago seat formerly held by anti-gunners Rahm Emanuel and Mark Kirk. Grimm, King, and Turner all represent districts either in or adjoining New York City so I think you can see the fine hand of Mayor Bloomberg at work there. Finally, I can't explain Woodall's vote other than a fit of pique at having his amendment defeated and I have no clue about Amash or Lungren. The full list of the Ayes and Noes can be found here. If your Representative voted Aye, send them a note thanking them. If not, ask them why the heck not! Now it is on to the Senate where it may or may not pass. Rep. Renee Ellmers (R-NC-2) spoke on the House of Representatives floor this afternoon in support of HR 822. She is both a co-sponsor of the bill and a North Carolina Concealed Handgun Permit holder. In her speech, she held up her CHP while saying she and the thousands of other North Carolinians who hold a CHP are honest, law-abiding individuals seeking to protect themselves and their families. Yesterday, the Senate Judiciary Committee's Subcommittee on Crime and Terrorism held a hearing on Sen. Chuck Schumer's bill, S. 436 - Fix Gun Checks Act of 2011. One of the witnesses was Heather Anderson of the Washington State Patrol. Her written testimony spoke to Washington State's submissions for inclusion in the National Instant Criminal Background Check System (NICS). The Bureau of Alcohol, Tobacco, Firearms and Explosives (ATF) has determined that Washington State does not meet the requirements of the NIAA for firearm restoration of rights and a relief program. ATF considers Washington’s relief law too permissive in some areas and too restrictive in others. This does not allow Washington to participate in NIAA requests for grant funding. The legislature has not updated state law to match federal requirements. There is continued effort by multiple agencies to accomplish this in the future. What makes this so ironic is that ATF has not processed ANY request for restoration of firearms rights since October 1992. And the reason that they haven't is because Sen. Chuck Schumer always inserts a clause in the appropriations language to deny them the funds to process these applications for the restoration of firearms rights. While 18 USC 925(c) does provide for judicial review of applications for the restoration of firearms rights, the Supreme Court ruled in U.S. v. Bean that the courts cannot perform judicial review until such time as an application is rejected by ATF. If ATF is denied the money to process these applications, there can be no denial. In other words, the consummate Catch-22 situation. The Senate Judiciary Committee's Subcommittee on Crime and Terrorism held a hearing yesterday on one of Mayor Bloomberg's pet projects. The bill, S. 436, the Fix Gun Checks Act of 2011, was introduced in the Senate by Sen. Chuck Schumer (D-NY). The witnesses were what might be expected from in the Democrat controlled Senate with one exception. Attorney David Kopel appeared to testify before the subcommittee in opposition to the bill. He correctly tore the bill to pieces. His conclusion is the quote of the day. S. 436 violates the Second Amendment right to keep and bear arms, the Fifth Amendment guarantee of due of law, the Fifth Amendment guarantee of equal protection of the law, and the Tenth Amendment’s reservation of state authority over purely intrastate activities. S. 436 further violates the Tenth Amendment by imposing on the vast majority of states an extremely repressive system of restrictions on law-abiding gun owners which those states have already rejected. Ever since 1776, Congress has recognized that a national gun registry would be a dangerous violation of the right to keep and bear arms. S. 436 creates such a registry. S. 436 has no legitimate constitutional basis of authority, because S. 436 attempts to twists Congress’s real power to regulate interstate commerce into the power to regulate what is not interstate and not commercial. S. 436 treats arrests as if they were convictions. S. 436 takes the current gun ban for the criminally insane and applies it to non-dangerous people who have been ordered to get counseling for mental problems that have absolutely nothing to do with dangerousness—including stuttering, lack of sexual desire, and nicotine dependence. Whatever good intentions might lie behind S. 436, the actual bill as drafted is grotesquely overbroad, and a Pandora’s Box of the dangerous consequences that are the inevitable result of making it a felony for law-abiding Americans to possess and use firearms. Given the long waterfowling tradition of Currituck County, it comes as no surprise that a carpentry class at Currituck High School was called upon to help rebuild duck blinds destroyed by Hurricane Irene. CURRITUCK, N.C. (November 15, 2011) – When Hurricane Irene took down two of the four waterfowl blinds in Currituck Sound on a N.C. Wildlife Resources Commission game land, the biologists and technicians knew exactly who to call. And it wasn’t seasoned carpenters or longtime experts. They called Jeff Rhodes, and his woodshop students at Currituck High School. The decision to call Rhodes was natural – his students had made several blinds for the Wildlife Commission in the late 1990s. The students also have built blinds for the U.S. Fish and Wildlife Service. The well-made, high-quality blinds had withstood hurricanes and tropical storms for more than a decade when two blinds fell before Hurricane Irene’s fury in August. So the Wildlife Commission asked Rhodes if his students could quickly build a couple of replacement blinds – in time for the hunters who would soon flock to the Currituck Banks Game Land for waterfowl season. Rhodes easily said yes. Rhodes said many of the students had helped to build waterfowl blinds for their families. And for students needing to develop carpentry skills, building the blind will prepare them for their more advanced project – constructing a three-bedroom house. However, the N.C. Wildlife Resources Commission, and the waterfowl hunters who use the blinds in the Currituck Sound, may benefit the most. With short notice, the students have provided two blinds to replace the ones the hurricane destroyed. Use of the blinds in the Currituck Sound adjacent to the Currituck Banks Game Land is by permit only. For more information, see Permit Hunting Opportunities. The picture below is of one of the blinds built by the students. It looks like they did a great job in a very harsh building environment. The group of kids who built this blind and their teacher Jeff Rhodes are shown below. I'm glad to see that they are getting the recognition they deserve for doing good works and doing it well. It is a shame that students like this don't get more attention. What Is It With European Countries And Air Guns? "Blaming Bush Is So Yesterday"
Holder Admits Letter Was "Inaccurate"
"Let's You Take Your Safety Into Your Own Hands"